Nearly 20 years after he was found shot to death in Philadelphia's Fairmount Park, a boy remains nameless. As we approach the October anniversary of his death, the National Center for Missing & Exploited Children are asking the public to "help us give him back his name." The organization shared a new composite sketch late last month in hopes of identifying the unknown homicide victim, who was discovered by a jogger the morning of Oct. 27, 1995. The remains were found in the park near the Mann Music Center, according to a post on the Help ID Me Facebook page, which is run by NCMEC. About 15-feet away from the lifeless body, police found tire tracks -- leading investigators to the possibility he was dumped in the park after being killed in another location, the post said. The boy, who authorities said was approximately 16- to 19-years-old at the time of his death, was wearing a red T-shirt and a long-sleeved Sergio Tacchini brand sweatshirt with the words, "Railway Express" in black, green and tan across the front, black Boss label jeans, a hooded gray down jacket and black Reebok high-top sneakers, according to NCMEC. 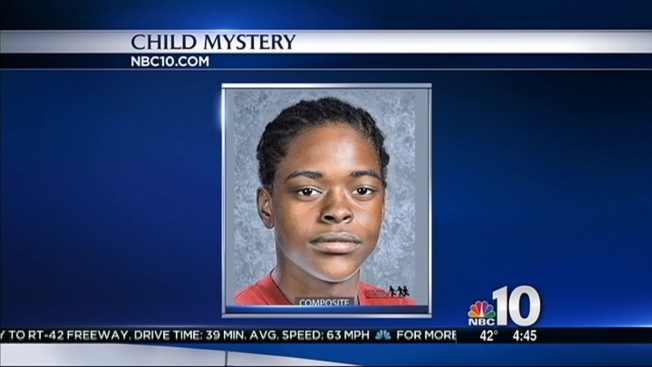 The teen's hair was styled in cornrows and he had a well-healed scar on the back of his right forearm, NCMEC said. He was 5-feet 11-inches tall and weighed about 160 pounds, according to authorities. The organization urges anyone with information to call 1-800-THE-LOST.